“Equal Pay for Equal Shreds” is how NPR phrased it, and “Equal Waves, Equal Pay” is what Forbes published, but no matter which way you write it, the World Surf League (WSL) is making a splash across global headlines as they close the gender gap by making the female prize purse equal to the male. Equal, as in the same, as in for the first time in history a professional US-based global sports league is offering equal prize money for male and female athletes. 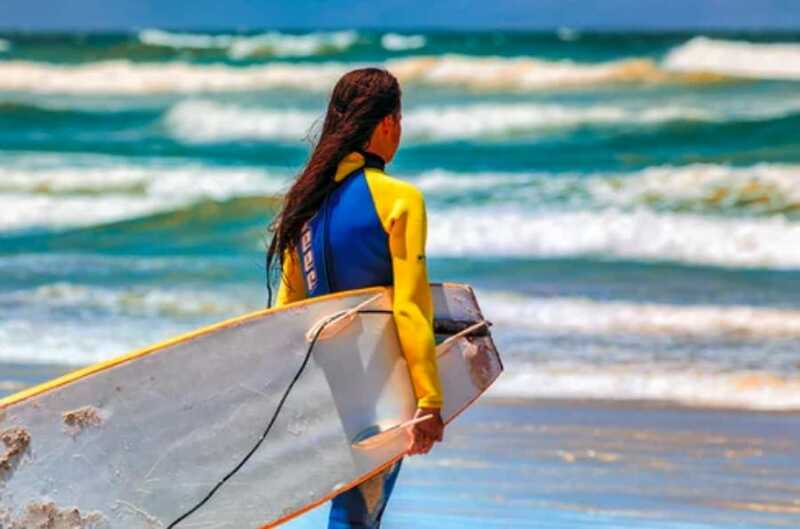 A Sports Retriever article that was released earlier this year, discussed the closing pay gap between male and female surfers in comparison to other professional sports. Although it became clear that female surfers were leading the charge towards pay equality in the professional sports arena, the achievement of equal prize money still seemed like it was years away and this sudden announcement definitely made waves throughout the international sports community. “I honestly didn’t see it coming, it’s a huge deal” Carissa Moore, 3-time world champion, told CNN. But more than the earning opportunities, Moore feels that the statement that the WSL is making by offering an equal size purse is giving professional female surfers the recognition and respect that they deserve as elite athletes. Yet, Moore wasn’t the only one who didn’t see it coming. The San Francisco Chronicle points out that in order for the WSL to have had their permit approved for their legendary Mavericks competition, the State Lands Commission (SLC) announced that it would require equal pay for women before issuing an approval. With this stipulation, the WSL withdrew its request, implying that equal pay was still a ways a way. Although the current WSL pay parity system determines proportionate pay for competitors, and since the men’s league features 36 athletes to the women’s 18, the difference in prize money was supposed to reflect the league size. The global attention that this photo attracted combined with the SLC’s permit regulations may have been the most recent events that led up to this announcement, but WSL CEO Sophie Goldschmidt said that for the WSL, “it was a question of when not if”. Kelly Slater, 11-time world champion wrote on an Instagram caption, “I believe it’s a great precedent to set in sports and challenges what has been the norm”. And a new precedent has been set. Throughout the 180 global WSL events, including the Women’s and Men’s Championship Tours, Longboard Tour, Junior World Championships and Big Wave Tour, competitors will receive equal prize money regardless of gender. Tennis’ four grand slam events pay the male and female competitors equally, but that’s only in four events, the rest of the years schedule still boasts extreme differences in prize money between genders.